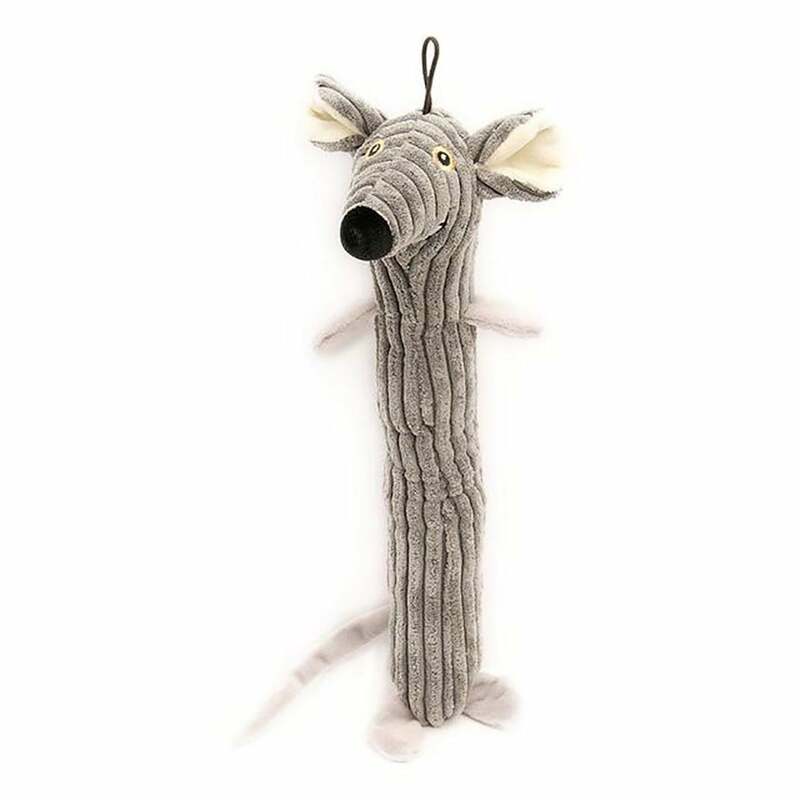 The Petface Farmyard Buddies Moo Stick is a stuffed, soft grey cord body offers an interesting texture. The plush main body holds a squeaker. At approximately 14 inches this toy is suitable for most breeds due to the narrow body shape. Can be used for playing or training.